As a lifelong resident of California, I’m proud to serve Atascadero in San Luis Obispo County as your local Farmers® Insurance agent. 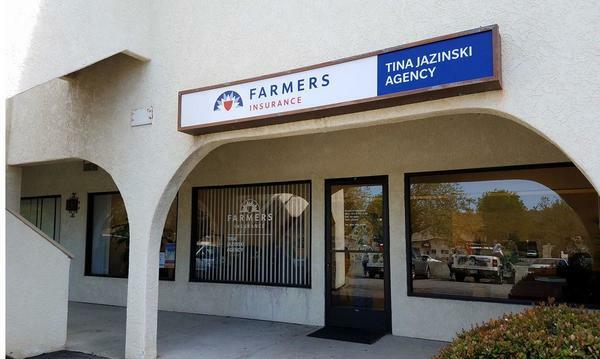 Conveniently located on El Camino Real near Curbaril Avenue, stop by my office to start a conversation about auto, home, renters, business insurance and Farmers Financial Services®. At my Agency, I help educate my clients on the benefits of insurance and help them plan for their futures, while also protecting the assets they have already accumulated. With over 34 years of combined experience in legal and financial services industries, I understand that insurance is just one of the many assets that make up your portfolio. I will look at the overall picture to provide you with a solution to get you where you are going. I want to make sure that my clients understand the importance of being covered, and see the value that can come from investments, retirement planning, and more. When I'm not in the office, I enjoy spending quality time with my husband and daughter. Although my daughter is now graduated Templeton High School, I'm proud to have raised her right here in San Luis Obispo County. Together, we love getting outdoors to enjoy the beauty that California has to offer - we enjoy camping, listening to music, and boating. 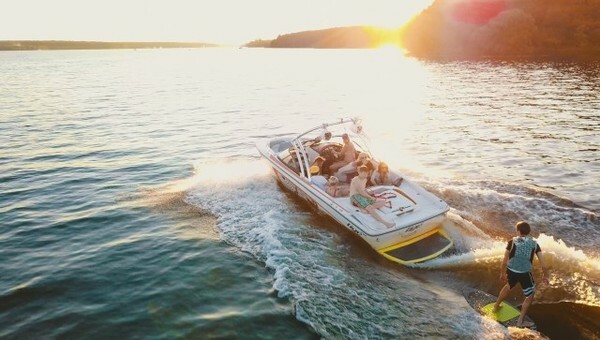 If you need any boat insurance this summer, I know first-hand what it takes to cover a boat! Regardless of what type of insurance you're looking for, let's work together to find the perfect plan for you. 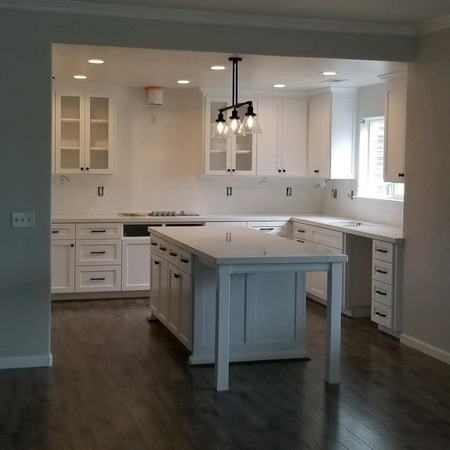 Give me a call at (805) 466-9090 and I'll be happy to answer any questions you might have. As your local Farmers agent in Atascadero, I can help make you smarter about insurance. 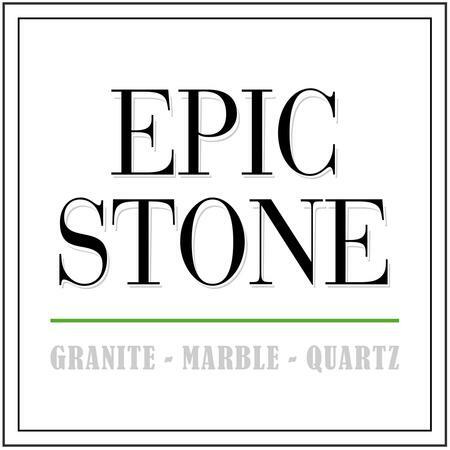 Epic Stone creates beauty in your home that will last a Lifetime. 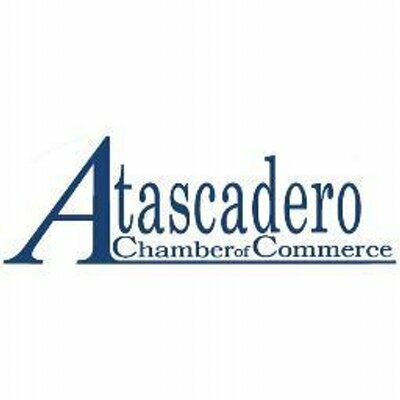 I'm a proud member of the Atascadero Chamber of Commerce. I'm also one of its amazing Ambassadors. I am proud to be a Member of this amazing organization, and its past-Secretary (2018). Before starting with Farmers®, I was heavily involved in helping people with their financial goals by taking a holistic look at their financial picture. Simply put, I want my clients to have best financial life possible. Whether it is a Roth IRA, Mutual Funds, or retirement rollover it is always a good time it's always a good time to create or clarify your financial* plans, so give me a jingle and we can get started. 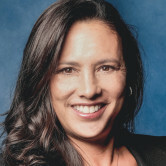 When I first contacted Tina, I was in the process of purchasing a new home and wanted to combine house and auto coverage. Tina immediately provided me with good suggestions and explained thoroughly what the different types of coverages meant. She was flexible as my closing date for the house changed twice. She is a wonderful blend of professional and personal, and gave me confidence that I was making the best possible choices for both my home and my auto insurance! Tina is an excellent Farmer's Agent. She is responsive and easy to work with. So we were buying a new car...needed insurance to drive it off the lot. On a Friday afternoon! We were so happy to find a real person to speak to at our favorite Farmer's Office and they expedited our request so that in literally minutes we drove away with our new car. Bravo, Tina. Great team you have! 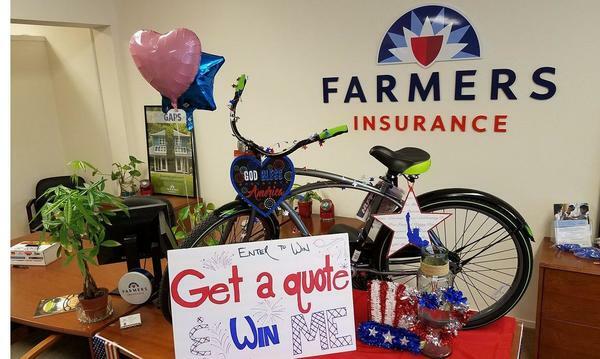 In July 2017, we raffled this Beach Cruiser. Scott Miller was the happy winner! 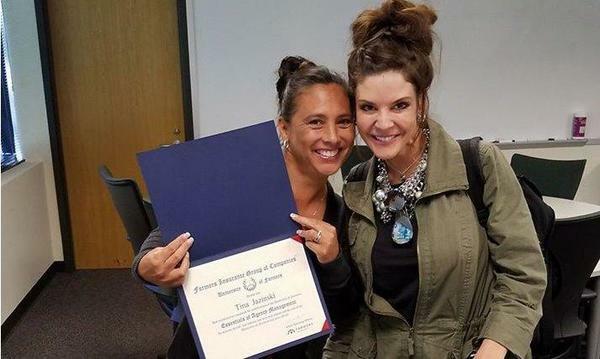 My friend, Cherlyn, and I graduated after a week long class at the University of Farmers in Agoura...Yippee! 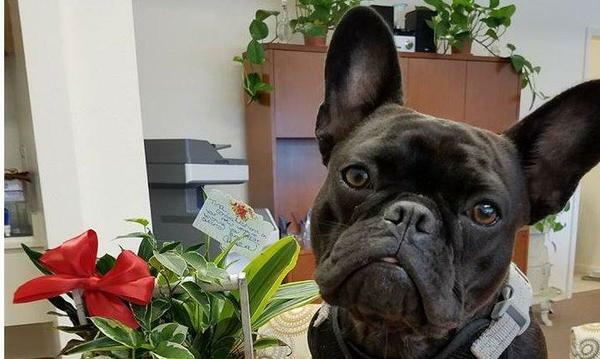 If you're in the area, stop by and visit Lucy. And, remember Pet Insurance for your fur-baby!! This was taken right before we opened in March of 2017. Sooo exciting! !